The top of Hekla without a glacier. Intriguing shapes of the MOHO near Hekla by Andrej Flis. I noticed that a couple of people had a problem with envisioning the model in their heads, especially the part that it is open at the bottom. It seems that some thought I was talking about an intra-crustal wedge with a closed bottom. This was not the case. Thankfully Andrej Flis has once more produced a specialized image of Hekla. This time it is the Moho based on earthquake data. It shows the wedge from an angle. As you can see it is open at the bottom and follow a sinusoidal wedge. It is a bit wider than I had envisaged, so we will have to up both the length at the bottom and the volume of lava it contains. In retrospect, this makes the model fit better with known eruptive volumes. A painting with Hekla on the Rocks, or in other words, with a glacier. There was also a discussion about if Hekla has a glacier or not. The answer is that Hekla both has a glacier and that it does not have a glacier. Hekla is by far tall enough to have a rather sound glacier, at the same time the edifice area is too small to have a large imposing glacier. This results in a small top glacier that will inevitably melt away during eruptions. Before 1947 eruptions was more interspersed and therefore the glacier had more time to rebuild between eruptions. At the same time, at some point backwards in time the edifice was too low for a glacier to form, therefore there are only 3 glacial periods registered in the official records of Iceland as evidenced in records of jökulhlaups caused by Hekla eruptions. These happened in 1766, 1845 and 1947. Between these eruptions there was written records of a growing glacier, there is also evidence in the form of paintings and photographs. It is also well recorded that there where jökulhlaups emanating from Hekla during these eruptions. Nowadays the repose times are far shorter between Hekla eruptions, so there is almost no time for a glacier to regrow, but a few meters had time to mass between the 1947 and 1970 eruptions and there are indeed signs that a diminutive glacier started to grow back last summer. In the comments after the last part of the series it was mentioned that Hekla had large basalt floods prior to onset of the large explosive eruptions. That is not at all true, this error stems from Global Volcanism Program, that for some reason have used an old article that mixes the list of true Heklugjá eruptions, fissure swarm eruptions of Hekla and in an utterly confusing way have also included the eruptions of the totally separate volcanic system of Vatnafjöll. The large early basalt flows that the GVP lists are from Vatnafjöll and no other volcano. They are completely petrochemically different from any sample from Hekla, but are dead matches for Vatnafjöll. The first known eruption of Hekla is the VEI-5 Hekla-5 tephra in 5 150BC. It is also well worth noting that no known effusive edifice building eruptions occurred during the first 5 500 years of Hekla’s existence. I will return to this in a later part of the article series. I feel that I should produce a list of Hekla eruptions that remove all eruptions that do not belong to Hekla and that separates the fissure swarm eruptions from the true Hekla eruptions that come from the central volcano itself. I urge the GVP to change their list and use the list below, or the list proposed by Professor Erik Sturkell. After all, my list is based upon his list and I do not think that anyone would doubt Sturkell since he is the recognized theoretical master of the subject of Hekla. The list will be from the first eruption to the last. Pre-edifice means that it was prior to the formation of the edifice of Hekla, proto-edifice means that it may be initial stages of edifice building. Edifice means that the eruption added to the edifice of the central volcano. Fissure means that it was an eruption on the fissure swarm on Hekla, these are always non-explosive basalt events that are different from the main eruptions of Hekla. 1 550BC Seslund pumice 4 Unknown Proto-edifice? 1 100BC H-3 Tephra 5-6 No Proto-edifice? 1878AD Krakagigar, possible Hekla 2 Yes Fissure? This gives us a list of 30 Hekla eruptions that we can divide into 3 distinct categories. The first category consists of the first 6 highly explosive eruptions that are spaced over 4000 years. These eruptions did not in any large degree build an edifice, but they did originate from the Heklugjá fissure and consist of calk-alkali andesite of the Hekla type. The second category consists of 5 fissure eruptions that occurred on the Hekla fissure swarm. They all consist of Hekla type basalts. The third category are the main eruptions of Hekla. There are 21 of these between 650AD and today. There is a bit of an intriguing pattern among those since there seems to be 3 periods of heightened activity after larger than usual eruptions. The first period is between 1104 to 1389AD and consists of 7 eruptions with an average interval of 41 years in between. The average eruptive strength was VEI-3.4. The second period is between 1597 to 1766 and consists of 3 eruptions with an average interval of 32 years in between eruptions. The average eruptive strength was VEI-3.7. The third and current period of heightened activity started in 1947 and is as far as we know continuing. So far it consists of 6 eruptions with an average rate in between of 9 years if we use 2000AD as a cut-off date for the last eruption. If we assume that there is an upcoming eruption the interval is now 12 years and counting. The average eruptive strength is VEI-3. In the next instalment I will return to why the rate of eruptions are increasing and why they are becoming less violent over time, in other words, it is time to return to interpreting Hekla according to the new model. The first known eruption of ****Etna**** is the VEI-5 Hekla-5 tephra in 5 150BC. The old effusive Hekla eruptions are mentioned in Larsen and Thorarinsson (1977). They write that the flows came from fissure slightly S and SE of modern Hekla, and flowed towards the SW. Later, there were a few such flows from slightly NE of the current ridge when Hekla was already forming. Clearly something changed fundamentally 7000 years ago. At what point you call the place ‘Hekla’ is perhaps a matter of discussion! I am familiar with the paper, Sturkell correctly stated that the geochemistry is not congruent with Hekla, instead it is a dead ringer for Vatnafjöll that lies to the SE of Hekla. I am not sure why Thorarinsson did not follow the Carmichael nomenclature for Icelandite and bimodal eruptive lavas. The only conundrum remaining about the Hekla eruptions is Litlu Heklu that is very near Heklugjá to the NW, since we do not know well the sequence of those eruptions. 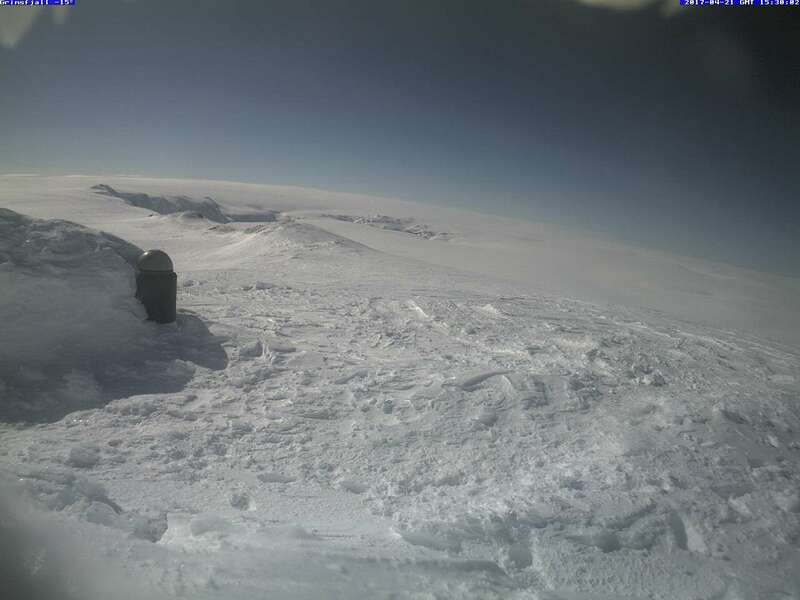 You can see Litlu Heklu as the low Hekla-like Ridge infront of Hekla proper on the Burféll camera. In any case, everyone agrees that the Hekla location has (had) access to two very different magma types, and these cannot come from the same magma chamber. And we know magma can travel long distances underground in Iceland. So the only issue left is a naming convention. No, today a minority is of that opinion Albert. We are talking about two separate volcanoes, with two separate magma reservoirs, erupting wildly different magmas. I do not know why Thorarinsson back in 1977 chose to disregard petrochemical data. I just wish he had not done that. Basically his paper is falsified by professor Erik Sturkell years ago. Also, I recommend everyone to read Iain Carmichael’s seminal paper on the bimodal lavas at Thingmuli volcano. To put it bluntly, Thorarinsson snorted a list out of his arse in complete disregard of a proven field of science. It is sad that his only crap paper will turn out to be his legacy, he deserved better. I will reference with an article that I wrote a few years ago, my article is crap , so just skip that. I am actually quite busy in my current article series falsifying myself and I cringed as I read this again, but in a way it shows how fast understanding of a volcano can develop. But at the end there are references to both Sturkell and Carmichael. How about this one…. There area no volcanoes in Iceland at all. Just various cones fed from the Volcano “Iceland.” If you look at it from a LIP point of view, it makes a little bit of sense, but not much. I love this idea lol and the mantle plume is not really a mantle plume, but just a largely oversized magma chamber. Talking about magma chamber, Have you seen this paper? Could be interesting for your upcoming post! I like that one! Now Iceland finally makes sense. You missed out an eruption in 1550? 1554AD Raudubjallar or 1550BC Seslund Pumice? Both are in the list above. And there are no Vatnafjöll eruptions at that time. Or did you mean the 1440AD flank eruption of Vatnafjöll? Oops I meant 1510AD. It was a VEI-4. Might anyone please have the link to the Burféll camera? My searches turn up everything from beach huts to Reykjavik (but not together). I believe the Burféll camera is no longer live, just snapshots? Not Burfell, I haven’t seen that one in a while. Mila’s Hekla cam just gives me the finger. It’s got the Dalek, that has to be it. Dalek is the only one that works for me as well. Nice discussion! looking forward to more! Nishinoshima has started a major effusive eruption. Is there a webcam there? How can we know if this is a major or minor effusive eruption yet? Nice deep quake at the Grimsvotn caldera today 18.4 km depth. Also, very outspread swarm around vatnajökul this morning. Wonder if there are any common forcing for these quakes? Just looked at the swarm interesting. Really interesting Carl. It seems like a countdown with Hekla. Eruptions every 12 yrs now. Still catching up with my VC reading, so I’ve only just got round to reading Albert’s piece on Hofsjokull. I thought it was a superbly well-written evocation of a mysterious volcano and the landscape it presides over, full of drama, wit, and interesting science. Very many thanks. Or should I say, “heartfelt thanks”?! Thank you! That was high praise. As if on cue, looks like another tiny quake at Hekla around 11am UTC on top of the one at 3.20am this morning. Aw hi little guy! I know. It’s not really little. 🙂 I remember too someone put a C3PO next to it because it also reminds you of R2D2. With the landscape it did look like part of the movie. It can’t be all that big (?ca. 1m high) if the footprints are anything to to by as scale. Pick a scale… Jötunn field personnel? Maybe Gjálp and Greip do equipment installation and maintenance. From what I understand, Grimsvotn are the cursed lakes where Grimur liked to fish. His wife (a giantess) cursed them for some reason. Side Note: A 10 foot tall 500 lb male hominid would have a basal metabolic rate in excess of 4000 C/day. I don’t think there is enough viable food up on the glacier to support such a critter. 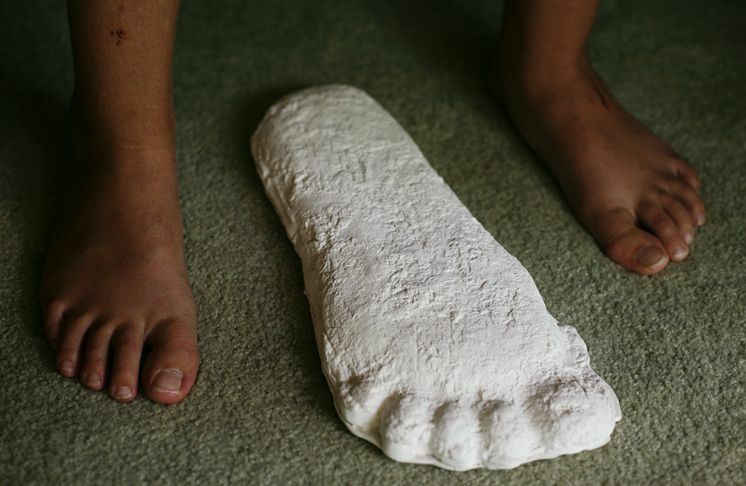 This is where a lot of the Sasquatch/Yeti/Bigfoot theories fall apart. The daleks are pretty big critters. That one is about 3.5 meters tall. Little steam from a vent on the”The Upper Part of Mauna Loa’s Southwest Rift Zone [M3cam]” this morning. I think we have seen steam from this area before. Effectively… the worlds largest bore-hole strain meter. One of the delights of VC is the international readership (and writership), with people from many different countries and cultures. (Rumour has it there are even some Scandinavians here). After living in 5 countries in 3 continents, my current country isn’t keen at the moment on ‘citizens of the world’ (hopefully sanity will return soon). I just realized today is April 22, the day that William McBride supposedly died. One of many casualties of 1916, 101 years ago, he was brought to life by a 1970’s song of Eric Bogle. The song was written by a Scott living in Australia, about an Irish soldier fighting in France in an English war – and translated into German where it became just as popular. Internationalism has its moments. Albert, are you living inside my head??? I was just seriously considering doing a home recording of that very song ! (Home recording… It’s a sort of hobby of mine). The rock version or the folk? Don’t leave the last verse out – it is not the same without it (although I can understand why the poppy appeal did that). The German version is harder hitting than Bogle’s lyrics. The song isn’t right without the last verse. Jeff Beck and Joss Stone did a version like that…..Yes, that was the poppy appeal, but that version says nothing to me… Just wrong. As for rock or folk? Well I don’t really do “genres” anymore. If I play something I just let the arrangement evolve until it feels right to me. This is definitely a folk song though. It’s all about the lyrical content. I flat out refuse to believe that there are Scandinavians here after we kicked out that Norwegian Blue Parrot. Thank you for sharing, if only for the Eric Bogle song and the pleasant trip down memory lane of Australian folk festivals back in the day. Now time for some fish slapping. Apparently written for a pan-european May Day event. Racist, satire or just plain silly? I’ll leave you to be the judge. Either way, it could be lifted from the pages of today’s paper’s – things haven’t changed that much in the last 46 years. Apologies if this has already been answered in the previous posts or comments. I’ve already had my daily quota of caffeine (1 cup allowance!) and am feeling a bit too lazy this Saturday morning for a complete re-read. – The high fluorine content, is this present throughout all the modes of Hekla’s eruptions, from start to finish? – Has its presence and proportion been consistent over time or has the content increased/decreased? – From memory Laki also had a high fluorine content, are there other examples (systems) in Iceland where fluorine has been observed? No, this has not been answered yet. I will return to questions 1 and 2 in the upcoming article. Yes, Laki had a high fluorine content, but it was proportionally far lower. That being said, many Icelandic systems has a high fluorine content. It is quite likely that this is caused by properties of the mantleplume upwelling and that Hekla concentrates this. And also a health warning. It is detrimental to health to drink so little coffee. Anything below 5 cups increases the risk for intestinal cancer. Thanks, I shall await the next instalment. Regarding the concentration of the mantleplume. What is the mechanism that does this? I assume it is the open wedge. Levels are lower in a more classic model due to the magma evolving overtime while it sits there perculating in a chamber/sill? Fractioning? If so, I assume we would see less concentration of fluorine at the start of an eruption? And where we see zippers being undone (oh my!) It is greater.